A pretty good week on the bike despite missing a ride on Sunday due to some pretty heinous weather. Sunday was never going to be much of a bike day because I did Tour de Ranges plus some on Saturday as my long ride. 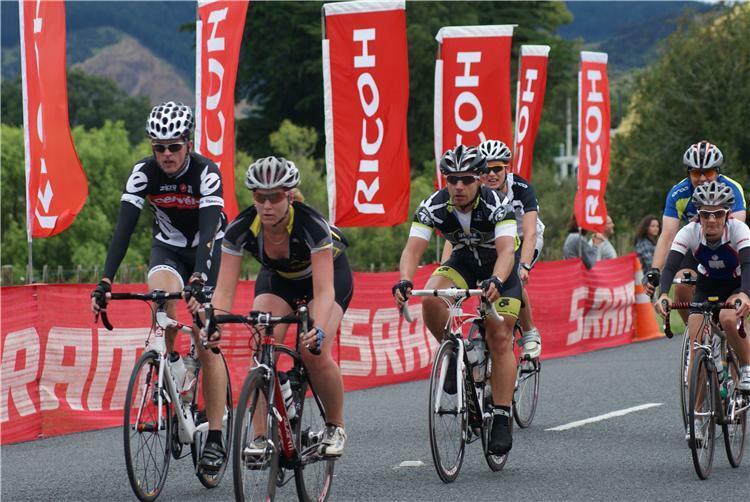 Tour de Ranges is a 110km "fun" ride around the Hunua ranges and back along the Auckland Half/old IMNZ course. Last year I double flatted and ran out of tubes and only made about 30km so I was hoping to actually finish this time. This year they had a separate Elite male and female starts which was way better because last year everyone went a little silly at the start trying to keep up with the big boys. 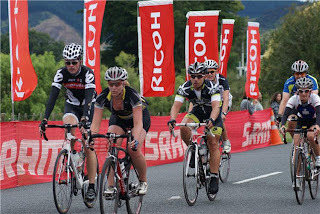 I managed to stick with what started out as the second bunch the whole way round and come in as first of the non-elite girls. It wasn't particualary easy though, I had to work pretty hard on the downhills and corners. Uphill was fine, I even made it to the front of the bunch up the hills a few times, which was good to get me a head start on the downhills. So it was a pretty solid 3hr effort, special mention should go to Shaun Jacka of Piako Yoghurt fame who helped me out a little bit and made sure I didn't get dropped. I then rode home from Clevedon to make it a bit over 140km, luckily I had a tailwind most of the way home. With TDR on my long run day I had to shuffle things around a bit and do my long run (80mins!) during the week but no dramas there. Had a bit of a shock to the system with my first Stroke and Stride in about 2years. It was 1000m swim/3km run so a good short run for me to start with. It was pretty hideous and my pre-race banana smoothie was not a good snack choice. I managed to run my way up to 14th place with an untied shoelace but my internal organs were starting to revolt against me. My usual S&S markers beat me so not a great start but its not like I been doing anything as intense as that so it was good training. 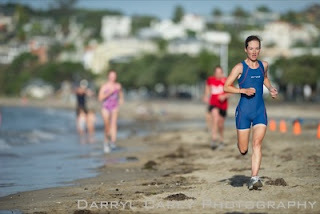 I entered Ironman NZ - yay!